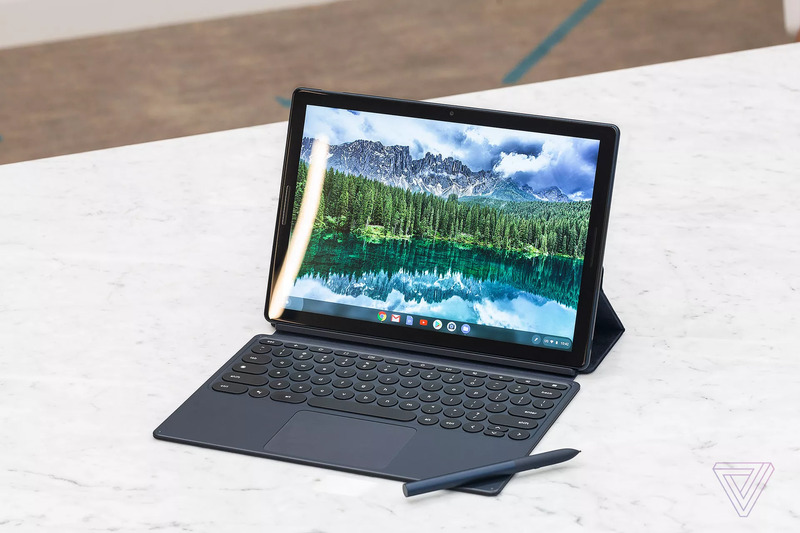 Yesterday, Google announced their latest Tablet, the Google Pixel Slate at their “Made By Google” event. 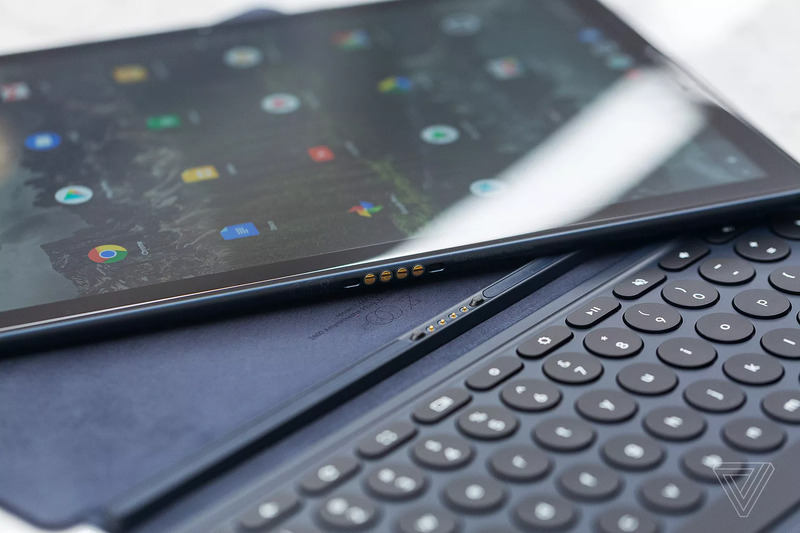 The last time the company launched a tablet was back in 2015 with the Pixel C that ran Android. The Android OS is a good OS for Smartphones, but it doesn’t scale well on a tablet and just seems like another mobile, but this time with a massive screen. Chrome OS does still rely quite heavily on the Android ecosystem for apps though – No getting away from Android altogether. Recently, we have had the usual speculation and leaks running up to the launch event, so the actual launch wasn’t much of a surprise. 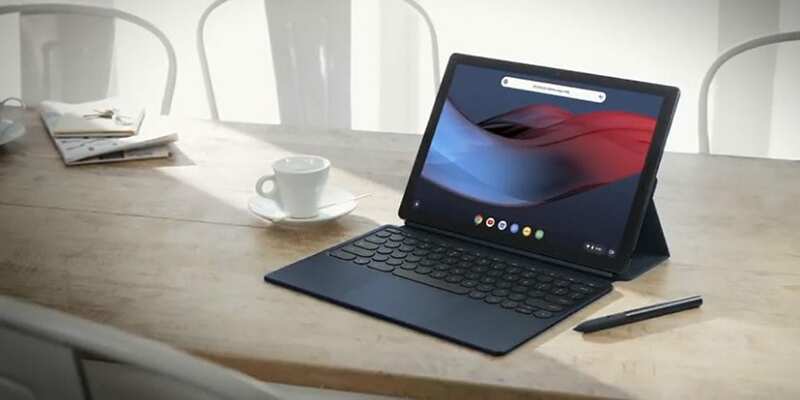 The Pixel Slate promises to offer solid tablet experience and also function as a laptop. 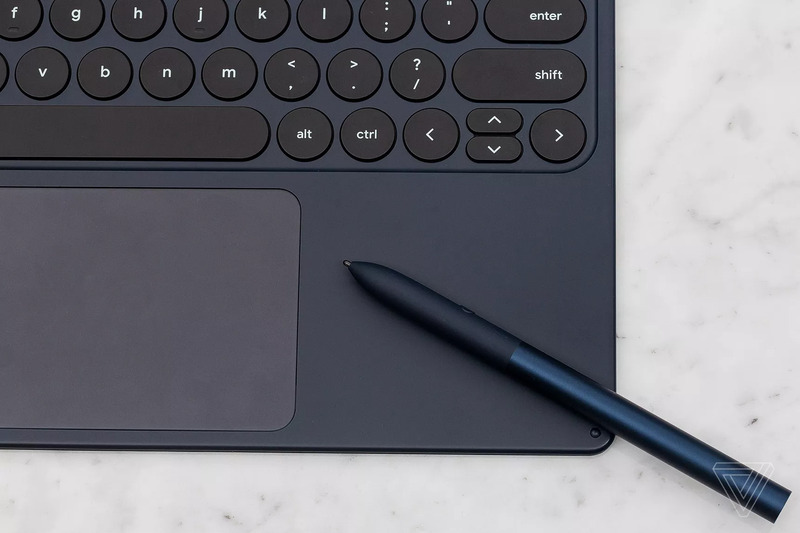 This can be seen as the first device that can legitimately attempt to compete with the iPad Pro, Surface Pro and 2-in-1 devices. This is an area that traditional Android tablets have had no chance of competing. 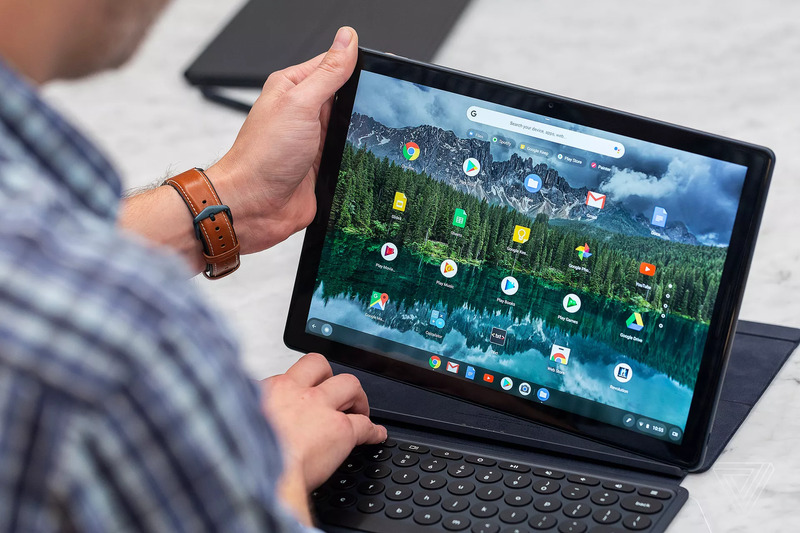 Google has been working hard on the Chrome OS over the last few years and especially this year. 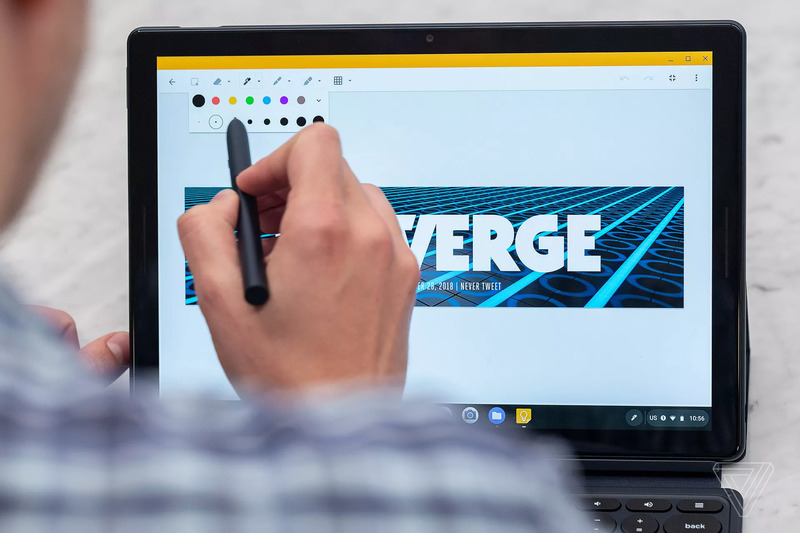 New features such as Linux App support, possible dual Chrome OS / Windows support, background updates and numerous UI features and performance tweaks mean Chrome OS can finally be considered a laptop alternative. The Slate is incredibly thin at only 7mm-thin and weighs only 1.6lbs. One of the things that I was uncomfortable about the Google Pixel Book was its 1.1Kg weight, that made it difficult to hold as a tablet with the keyboards swung around the back. 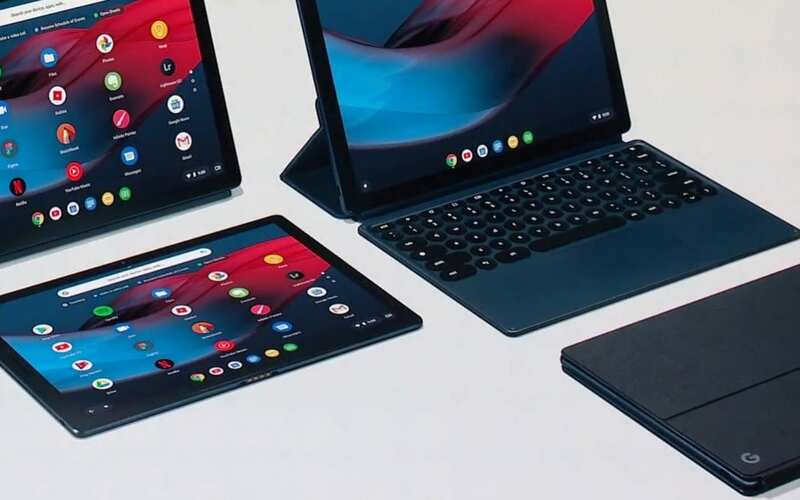 In a bid to appeal to as many consumers as possible, the Pixel Slate will be offered in 5 different configurations and price points. 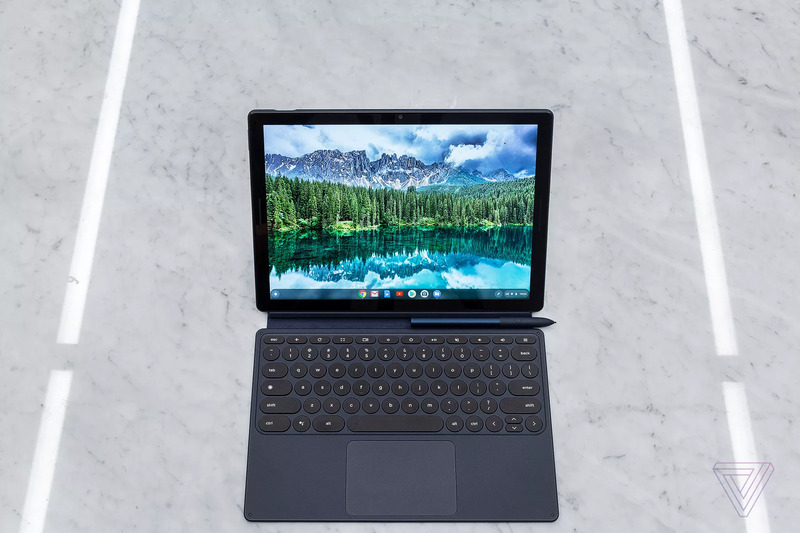 If you are on a budget then the starting configuration, powered by an Intel Celeron Kaby Lake processor, with 4GB or 8GB RAM, might be right for you. The next step up in power takes you to an eighth-generation Intel Core m3 Processor and 8GB RAM. For the power user there is the option of an eighth-generation Intel Core i5 processor or Core i7 Processor with *GB or 16GB RAM respectively. The screen is a 12.3-inch 3:2 ration 2.5D glass-enhanced display with a max resolution of 3,000 x 2,000 – which is 293 pixels-per-inch. It uses a technology called “Molecular Display,” which is more power efficient than other LCDs. To cover it you have Gorilla Glass 5. For connectivity we have Bluetooth 4.2 and dual-band Wi-Fi 802.11 a/b/g/n/ac protocols in a 2 x 2 MIMO configuration. On the left and right sides we have a USB-C port. At the top, we have a wide-angle 8-megapixel selfie camera and also an 8-megapixel main camera. To power it all we have a 48Wh 10-hour-rated battery that features fast charging. Dimensions measure in at 290.85 x 202.04 x 7.0 mm. At the top of the screen, there is a fingerprint sensor embedded in the power button which allows you to unlock the screen and access your machine. This is one of the best features that Google omitted from the Pixelbook and have thankfully added to the Pixel Slate. Nothing like being seated in a crowded auditorium and needing to put your password in – with invading eyes to your left and right! We have two USB-C ports, one on either side, that can be used for data, fast charging and also 4K video output. At the bottom, we have a custom keyboard connector and two microphones. You can use the custom Brydge Backlit Bluetooth Keyboard, selling for $149 and attaches magnetically, or you can use any existing Bluetooth Keyboard with it, but the Bridge has a very useful trackpad. The keyboard does not require charging or any pairing in order to work and drains minimal power. A nice addition to the tablet that I wasn’t expecting was front-facing stereo speakers. Google claim that have an impressive sound and are very loud. Are you ready for the bad news? Well, Google still does not support Micro SD card storage and you would think that they would, seeing that it is 2018 after all and most devices do in fact support them. Also, there is no 3.5mm headphone jack. Google believes in the new Bluetooth world you just don’t need them. 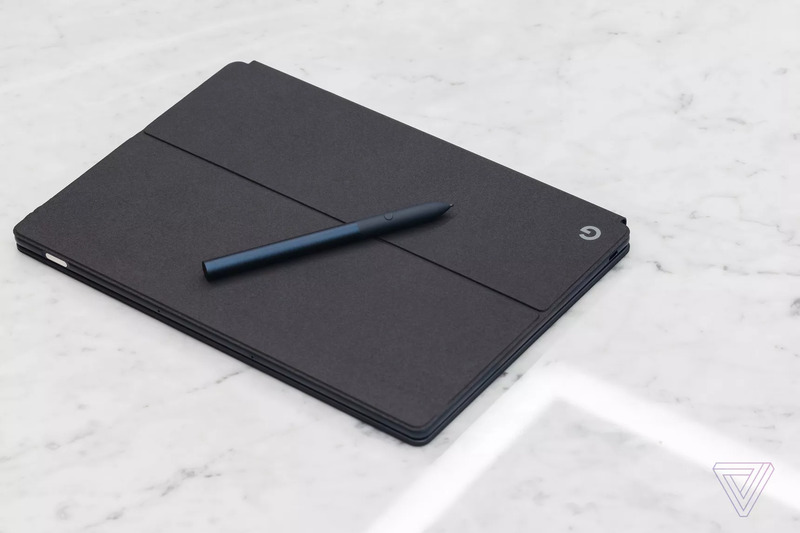 The Chrome OS tablet comes in just one color, a “midnight blue” anodized aluminium. The prices for the 5 different configurations as stated earlier can be found below. Starting price is as low as $599 and goes all the way up to $1,699, excluding keyboard ($149) and pen ($99). The starting price can seem a ‘little’ expensive to some that are still used to a sub $350 Chromebook, but the specs of this machine do seem to be worth it. The folio keyboard by Bryde is also listed at $149 – these things never come cheap.